Cost: ~$25, including USPS standard shipping. Vanilla Products USA shipped the beans in vacuum-sealed bags. This worked great but the seal on my bag of Tahitensis had broken by the time this picture was taken. I ordered real Madagascar Planifolia beans and Tahitensis vanilla grown in PNG. 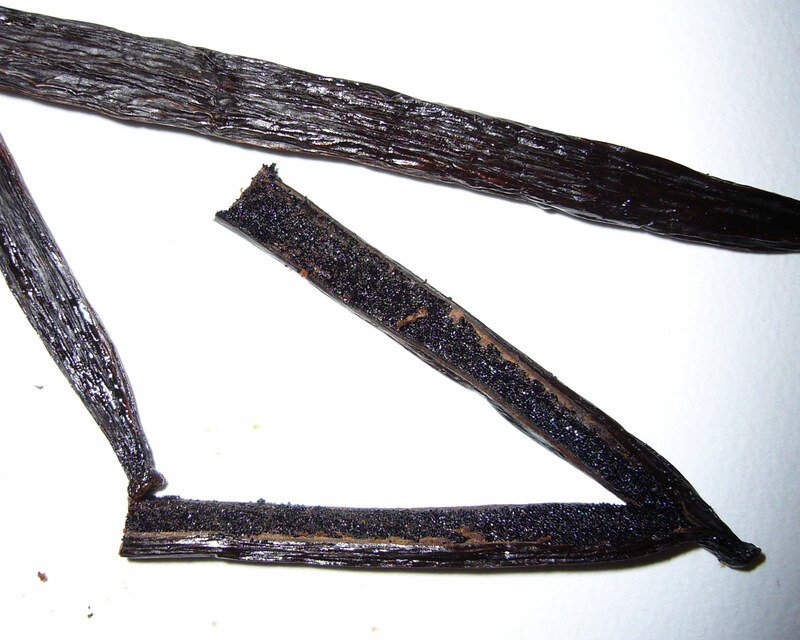 Watch out when ordering from Vanilla Products USA — the eBay listings can be confusing. Be sure you choose their Madagascar Planifolia beans if thats what you want. They also sell Planifolia grown in PNG (costs half as much as Madagascar). They have good prices on grade ‘B’ extract beans, but again, they come from PNG. 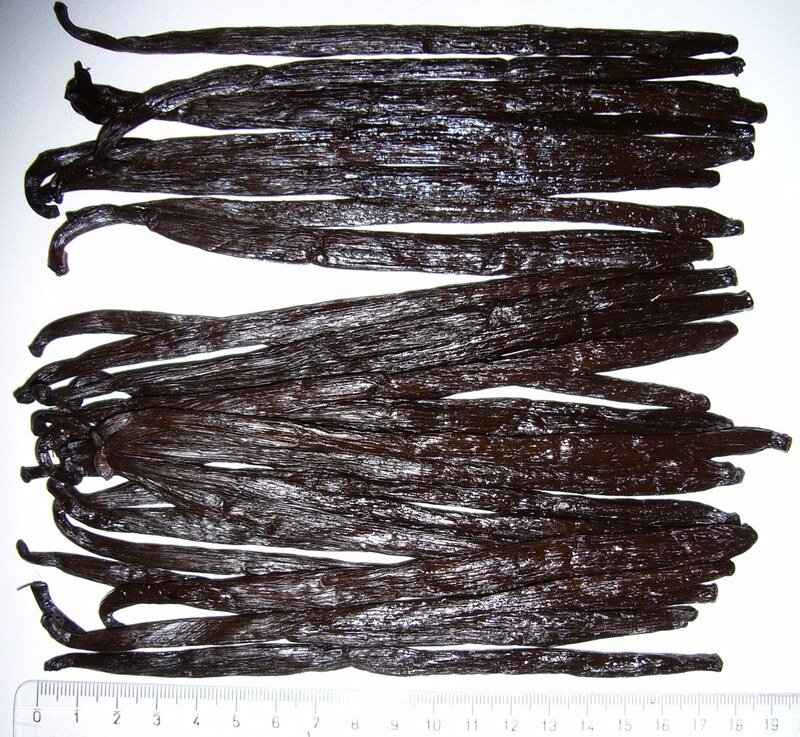 Extract grade Tahitensis Vanilla (grown in PNG) is available in one pound bundles (~$12). These were very nice beans of 7″ or so. These beans were flexible, moist, and oily. 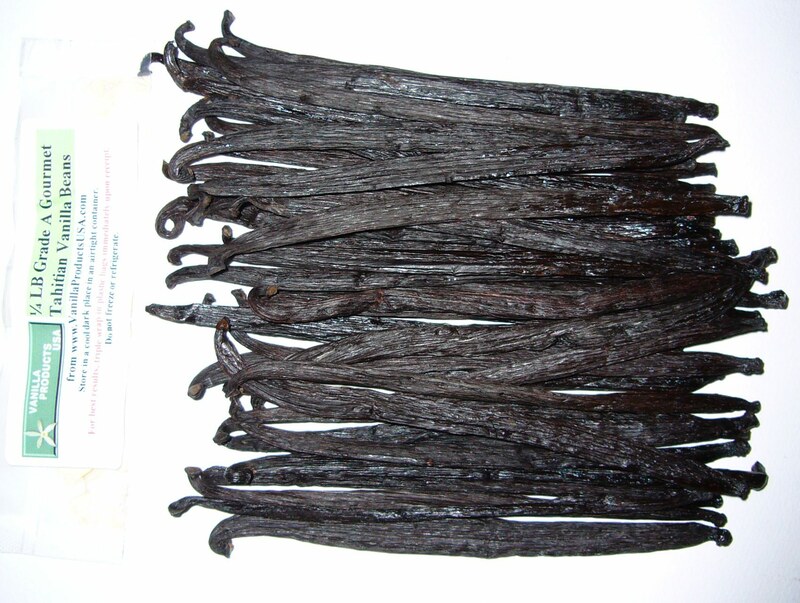 They have the very typical Madagascar vanilla aroma, and produce a bunch of nice caviar. The house smelled great after rendering a 1/4 pound of these. 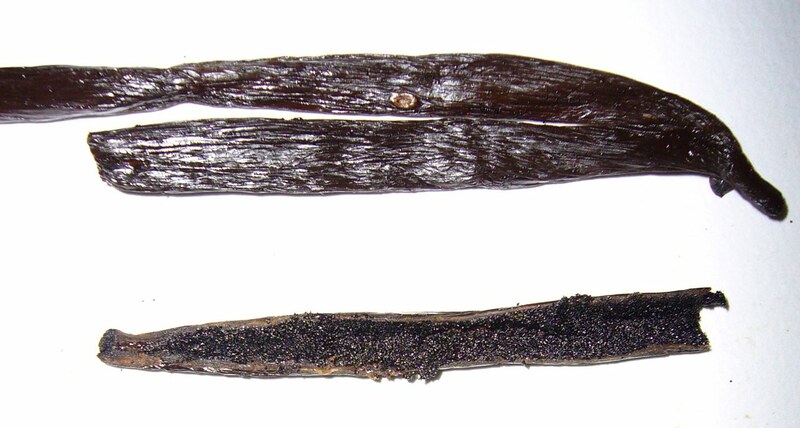 Recall that Tahitensis (“Tahitian”) vanilla is a mutated variety. These Tahitensis were grown in PNG. These beans smelled like fruity raisins and pipe tobacco. Nice moist beans, slightly smaller than the Madagascar. I just spent several hours calculating and debating on whether to make a purchase from either Vanilla Products USA, or the Organic Vanilla Co, both of whom are offering grade A PNG bourbon or tahitian beans for under $20/lb. The tie-breaker – VPUSA is offering a free 1lb of grade A PNG tahitian beans with any purchase over $40, for the month of June! So, I effectively will be getting 3lbs of grade A beans for <$50, which is awesome at the retail level like this!! And, looking at the wonderful reviews here on this site, I’m even more excited and really looking forward to receiving excellent beans from VPUSA. Thank you for an excellent website! I made the same calculation as “rosc” and recently bought 2 pounds of beans from VPUSA for the same reason: I get an extra pound FREE. Ian, I’m in awe of your Tahitian vanilla extract and would like to duplicate it as soon as the beans arrive. Your photo and description of the THICK 2-fold Tahitian extract using VPUSA beans also pushed me in the direction of buying from VPUSA. Thank you for an exceptionally informative and UNBIASED site for novices like me. Thank you for letting us know about special offers from the vanilla vendors. WONDERFUL BEANS. 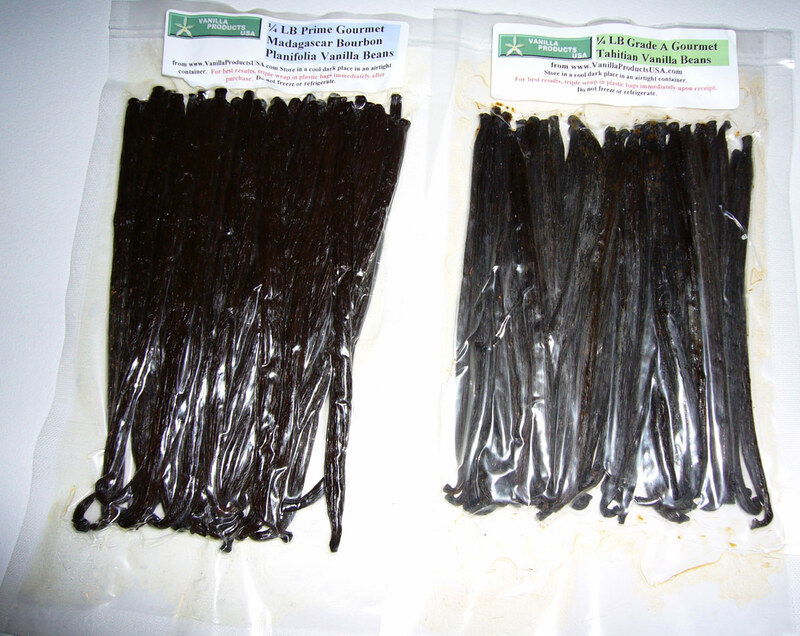 I received my 3 pounds of vanilla beans on 24 June and they are so fragrant even though vacuum packed. I opened one bag of the Grade A Tanhitian beans (from Papua New Guinea)and they have a wonderfully sweet and floral fragrance. The Tahitian beans were all about 6-1/2 inches (16 cm) long, dark brown, a little oily, supple, and moist. The beans filled my home with a delightful perfume. These beans exceeded my expectation and I am looking forward to tasting the vanilla extract and using the vanilla beans in baking and cooking. Thank you, Ian, for identifying these beans in your photograph of the THICK extract. Thank you VPUSA for a wonderful product. Madagascar beans are flowery. I finally opened the package of Msdagascar beans to make some extract. 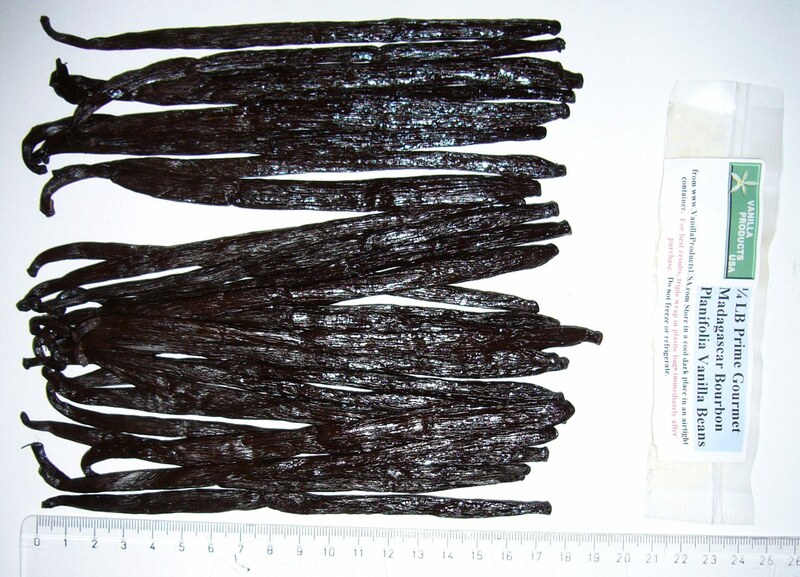 I was suprised to discover VPUSA’s Madagascar vanilla planifolia beans smelled more like the PNG vanilla tahitensis beans I bought from VPUSA than the Madagascar vanilla planifolia beams I’ve received from two other sources. I made the extract and even after a few days, the Madagascar van. planifolia extract-to-be does not have the distinctive “vanilla” fragrance, but smells more like vanilla tahitensis and this is disappointing as I enjoy the “traditional vanilla” fragrance. The Madagascar beans looked exactly like the vanilla tahitensis beans and I’m just wondering whether they mixed the up the beans. I paid almost twice as much for the Madagascar beans as I did for the PNG van. tahitensis beans, so I don’t think I’ll be ordering Madagascar beans from Vanilla Products USA again. I like the Madagascar van. planifolia beans from BEANILLA best; I’m planning to buy more beans from Beanilla soon even if they are a little more expensive than VPUSA’s Madagascar beans. Thanks for sharing your experience. I’d try contacting the seller (Bruce) at VP USA and ask if there could have been a mix-up. The difference between the two vanilla varieties is pretty distinct, and since you have some prior experience I think you’re more than qualified to make that determination. VPUSA – Great response. I emailed Bruce and he send me a very quick response. He said my complaint was the first he had received and offered to refund my money, but I’ve declined and will await the outcome of the vanilla extract in a couple of months. I can still use the vanilla beans for other purposes. I was very pleased with his response. There is no doubt I’m happy with his vanilla tahitensis beans. It really makes a difference when the vendor is willing to work with you, doesn’t it? I’m glad that even though your experience wasn’t ideal, you got some form of satisfaction. Wow. 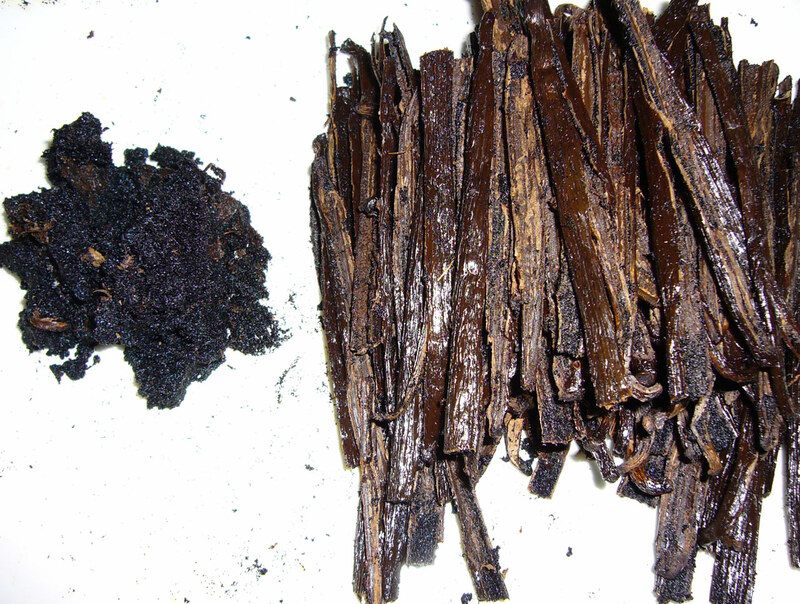 I received my 2 lbs of vanilla beans today (1 lb of Madagascar Grade A and 1 lb of Tahitian Grade B) and I have to say that both packages were incredibly impressive. The Grade B was soft, full, and nearly as good in quality as the Grade A. The only difference between the two in quality was that the Grade A’s were a bit more plump, but the Grade B’s were not nearly as flat or as dry as I’d expected. So far, I haven’t opened the Madagascar Grade A package yet, but I can already smell it through the packaging, and it’s amazing! The Tahitian smelled heavenly and I look forward to the extract I made from it tonight. I would say that the beans exceeded my expectations. I am extremely satisfied! For the record, I got the 1 lb of Tahitian Grade B free with my order of the 1 lb Madagascar Grade A. Thanks for leaving a comment. I’m glad the vanilla worked out for you. I too find grade B beans surprisingly soft compared to my expectations of dry, inflexible extract grade beans. Please keep us updated with your results. Comments dated August 4 were copied from the old site. Comment dates didn’t transfer correctly, so everything is reset to the insert time. You may also like to discuss this page in the vanilla vendor forum. Vanilla Products USA is selling a B Grade Madagascar Planifolia bean now. Can you include that type in a review? Just ordered the variety pack (10 Grade A Gourmet Madagascar Bourbon Vanilla Beans 10 Grade B PNG Bourbon Vanilla Beans 10 Grade A Gourmet Tahitian Vanilla Beans). I’ll get an extra 10 grade B beans for free with this order – extract for Christmas gifts!! I’ll write again when the order arrives! I’ve ordered from Vanilla Products USA several times, and recently sent 1/2 lb of beans to a friend in the UK. I LOVE them. I’ve made about 1 1/2 gallons of extract with them (I think I’ll stop now. LOL!) and it’s HEAVENLY! I put in a little more than 7 oz. of beans in a little less than 1/2 gallon of vodka and let them steep for a year. YUM! The beans arrive QUICKLY and are soft, supple, and a little oily. PLENTY of caviar. When/if I need more, I’ll DEFINITELY buy them from VPUSA. Can’t imagine buying $5/bean at the grocery store! I too bought a 1lb pkg. of grade B Madagascar vanilla beans from VPUSA through Amazon. I received a 1/4lb of another type of beans free with my order. I had concerns with my beans and emailed the vendor and Bruce worked with me and my concerns. I hadn’t made vanilla extract before and had only used vanilla beans once before that were of a different grade. Overall I would definitely buy beans through VPUSA again and have recommended the vendor to other people. Homemade vanilla is awesome in my homemade yogurt…and I can use as much as i want and not SAVE it for special occasions. Yummy!! I bought some beans from VP USA yesterday, should get them in early next week. Their current promo was based on dollar amount spent. I am receiving 1/2 lb. of their Grade B Split Madagascar Bourbon vanilla beans free. I am curious. Do I use them just like I would the Grade B Madagascar Bourbon vanilla beans (unsplit) to make extract? Thanks for any feedback on the use of the split beans.